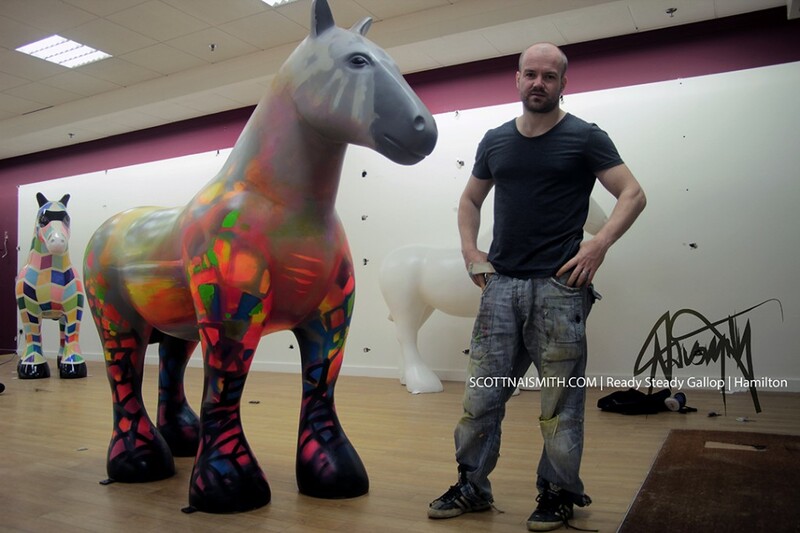 When contacted last year by Hamilton Bid, in a request for me to paint a 7 foot fiberglass Clydesdale horse, the answer was a no-brainer. 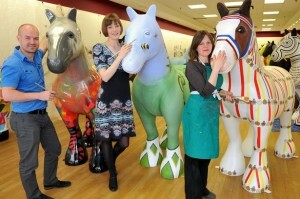 From 25th June for 10 weeks, the streets and open spaces of Hamilton and South Lanarkshire will come alive with giant Clydesdale horse sculptures. The sculptures are designed and painted by local artists, creating an arts trail around the town and put Hamilton firmly back on the map. READY STEADY GALLOP! is led by Hamilton BID, working in partnership with Wild in Art, the UK’s leader in the development, management and production of amazing mass appeal public art events. 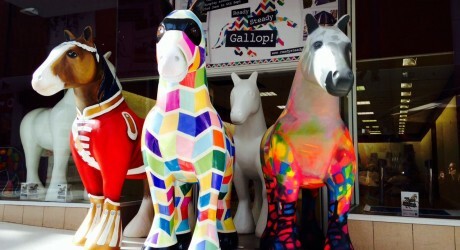 At the end of the 10 week period, the Clydesdale horse sculptures will be auctioned off on the 7th October at the Hamilton Town House to raise funds for Kilbryde Hospice. The Kilbryde Hospice is a charity that exists to provide care and support to patients with life limiting illnesses such as cancer, Parkinson’s and Motor Neurone Disease and many others. The construction of South Lanarkshire’s first in patient hospice has now begun. The stunning two-storey hospice is being built in the grounds of Hairmyres Hospital, East Kilbride on a 1.83 acre site. The building work is due to be complete by autumn 2014, and they will then transfer over their existing services to the new building. Kilbryde Hospice currently offer an extensive range of free support services through their day hospice including a counselling service, pain management advice, complimentary therapies, walking group, craft classes and relaxation classes. As an extension onto the day hospice, Kilbryde Hospice are now providing a Hospice at Home service, where they take the support offered within the day hospice out to the home when required. Diminuendo is an Italian music term meaning gradually softening. It refers to the concepts of my mark making, shapes and colour in relation to atmospheric perspective in a landscape. 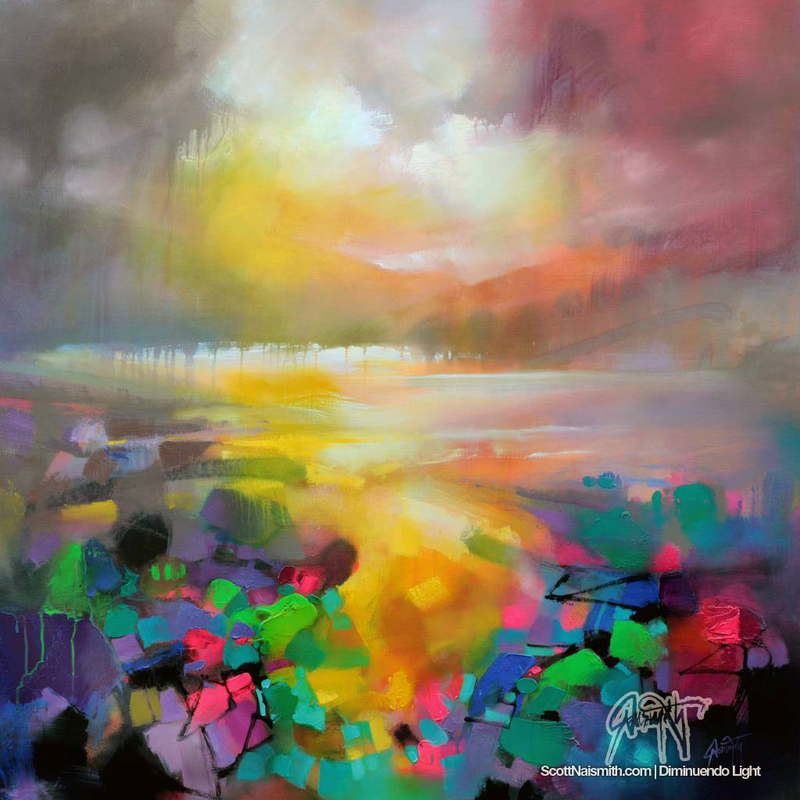 The painting below is called ‘Diminuendo Light’ (acrylic spray paint, acrylic and oil on linen, 1m square). It was created with a view to developing it into the 3 dimensions of the 7 foot tall fiberglass sculpture. 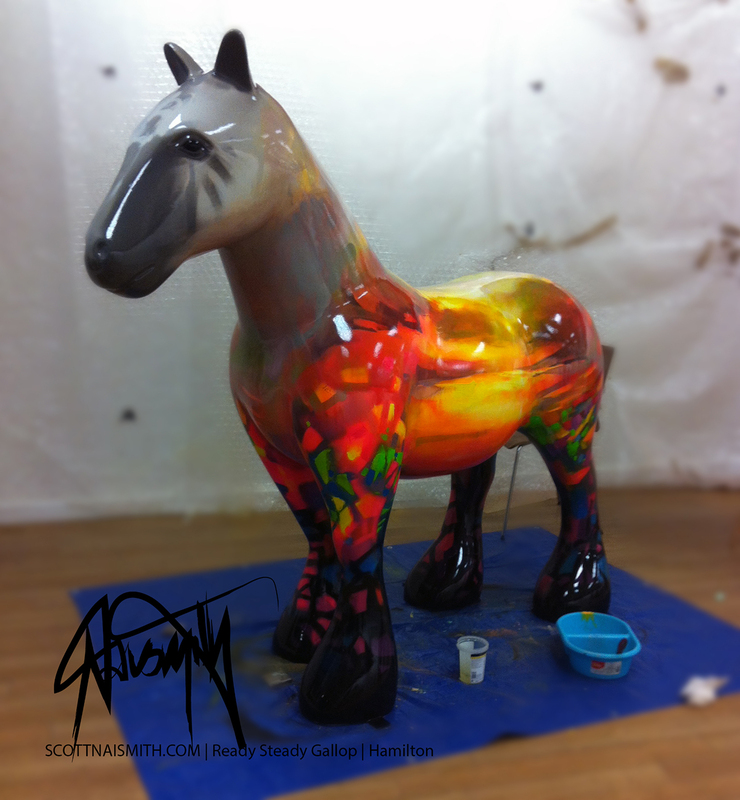 On both sides of the horse you can make out the depiction of sky and sea of Scotland’s west coast.